Their employers do not provide them with appropriate eyewear safety gear at all. To anyone who thinks eye protection is not as important as body protection in industrial and construction setups, we urge you to think again. 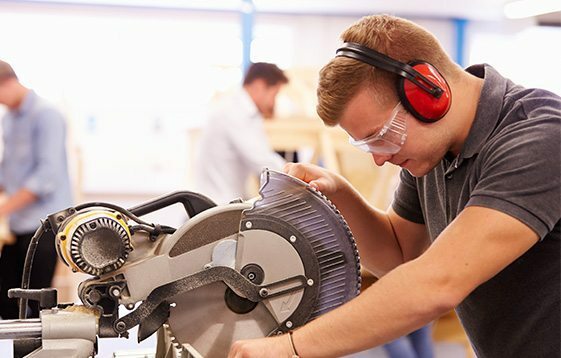 According to the NIOSH or the National Institute for Occupational Safety and Health everyday US based workers suffer from job related eye injuries. Similarly, OSHA or the Occupational Safety and Health Administration urges workers to wear protective eyewear if there is even a remote chance they can injure their eyes in the workplace. This includes face shields, safety glasses, safety goggles and other protective eyewear that can prevent eye related injuries on the job. Foreign objects or chemicals in the eyes can cut and scrape the cornea which are just some of the common eye injuries that can occur in the workplace. Other common eye injuries can come about from hot splashes of grease that come in contact with the eyes, steam burns, ultraviolet or radiation exposure and other common eye injuries that can occur in a hazardous workplace. 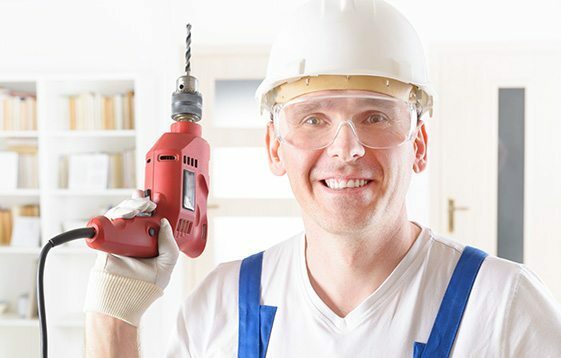 However, appropriate eye safety equipment can reduce the severity of the damage significantly or eliminate chances of it occurring completely. At Safety Gear Pro we take the safety and well being of our clients very seriously, a rule that is reflected in our wide range of eye safety gear. Safety Gear Pro’s corporate program complies with all mandatory safety regulations that should be part and parcel of any construction or industrial setup. It is a fact that companies spend a lot of money and time to ensure their employees remain as safe in the workplace as they do so at home. This includes implementing resources that can keep them safe from workplace injuries that can be debilitating if serious. Unfortunately, many businesses fail to provide workers even the most basic safety gear or implement an appropriate safety program. We work hard to give you the best products at the best prices every day. We make every effort to process your order quickly, typically the same day. We work hard to keep every item in stock every day. We’re able to ship well over 95% off all orders within two business day. We want you to come back to us with your friends! We know that you have choices, both online and offline. Our service will make us stand out. In Safety Gear Pro’s corporate program, we will not only provide adequate protective gear. Our extremely effective program will identify hazards that your workers can suffer from in the workplace and create a comprehensive protection program complete with relevant safety gear that can either prevent or eliminate them completely. Safety Gear Pro’s corporate program aims to tick all of these boxes and allow organizations to provide a safer work environment for their employees. Top class support! As we are a small company trying to get our employees setup, Pete helped us above and beyond and was more than patient, his responses were quick and he has a genuine care for our company and employees! Highly recommended SafetyGearPro! We have worked with Safety Gear Pro for 2 and half years now. I would like to recommend it to any company interested in offering their employees a corporate prescription eyeglass program. It is very convenient for employees to use, and for our administrator to manage. All processes are automated and tied together. Dallas F., Aero Valves Inc. Thank you Scott for the excellent service during the setup processes. Our employees love using you guys instead of going to local optometrist, we have had great feedback. The quality and price is far superior. It is the responsibility of the employer to create a protection program that meets essential government regulations. However, the entire process can be quite time consuming irrespective of the size of the organization and especially if yours relies on paper management. On the other hand the most effective programs are those in which employers work closely with employees to pinpoint hazards and provide appropriate protection for each.